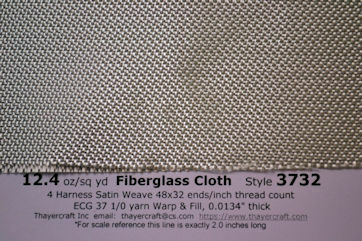 Style 3732 fiberglass cloth is an E-Glass 4 Harness Satin weave fiberglass cloth that's not a typical open weave boat and tooling cloth, though it's a heavy 12.4 oz/sq yd fabric. 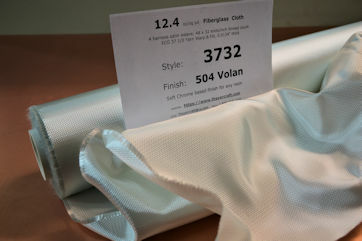 It's not a typical satin weave, though it is a 4 harness satin. Style 3732, as is it's close associate 332, was really meant to be coated with acrylic or pvc to be used in a wall panel somewhere. Sometimes us composite connoisseurs get lucky with a weave intended for one thing being finished with a nice finish like Volan resulting in a nice cloth for resins. 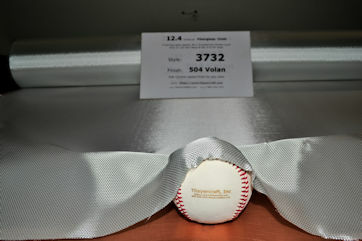 All rolls are on 2" pvc, carefully packed and ready to ship.